DiscoVision is the name of several things related to the video LaserDisc format. Judge Warren J. Ferguson of the U.S. District Court for the Central District of California rules that home videotaping of free television for personal use is legal under U.S. copyright laws denying a claim brought by Universal Studios and The Walt Disney Company against Sony to halt the manufacture and sale of Betamax videocassette recorders. The ruling was overturned in part by the Ninth Circuit Court but later upheld in 1984 by the Supreme Court of the United States in Sony Corp. of America v. Universal City Studios, Inc. .
Warren John Ferguson was an American jurist who served as a United States Circuit Judge of the United States Court of Appeals for the Ninth Circuit. The Columbia Pictures studio forms a home entertainment division known as "Columbia Pictures Home Entertainment". Sony Pictures Home Entertainment is the home video distribution division of Sony Pictures Entertainment, a subsidiary of Japanese conglomerate Sony Corporation. 20th Century Fox purchases Magnetic Video, which in 1977 had become the first company to release pre-recorded films on videotape for consumer use. Distribution of Video 2000 products begins. Magnetic Video Corporation was a home video/home audio duplication service, that operated between 1968-1982. Betamax is a consumer-level analog-recording and cassette format of magnetic tape for video. It was developed by Sony and was released in Japan on May 10, 1975. The first Betamax device introduced in the United States was the LV-1901 console, which included a 19-inch (48 cm) color monitor, and appeared in stores in early November 1975. The cassettes contain 0.50-inch-wide (12.7 mm) videotape in a design similar to that of the earlier, professional 0.75-inch-wide (19 mm), U-matic format. Betamax is obsolete, having lost the videotape format war to VHS. Despite this, Betamax recorders would not be discontinued until 2002, while new Betamax cassettes were available until March 2016, when Sony stopped making and selling them. Funimation Productions, LLC is an American entertainment company that specializes in the dubbing and distribution of foreign content, most notably anime. Sony Pictures Entertainment, a division of the Japanese conglomerate Sony, is its majority owner. Based in Flower Mound, Texas, the studio is one of the leading distributors of anime and other foreign entertainment properties in North America alongside Viz Media, Sentai Filmworks, Aniplex of America, and more. Their most popular property is Toei Animation's action-adventure franchise Dragon Ball. TriStar Pictures, Inc. is an American film studio that is a division of the Sony Pictures Motion Picture Group and part of Sony Pictures, which is owned by Japanese multinational conglomerate Sony Corporation. Sony Pictures Television Inc. is an American television production and distribution studio founded in 2002 as the successor to Columbia TriStar Television. 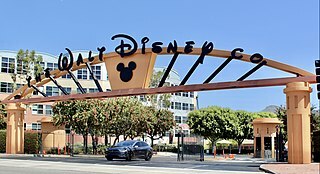 Based in Culver City, it is a division of Sony Entertainment's Sony Pictures Entertainment and a unit of the Japanese conglomerate Sony. Warner Home Video is the home video distribution division of Warner Bros., a subsidiary of WarnerMedia. It was founded in 1978 as WCI Home Video. The company launched in the United States with twenty films on Betamax and VHS videocassettes in late 1979. The company later expanded its line to include additional titles throughout 1979 and 1980. 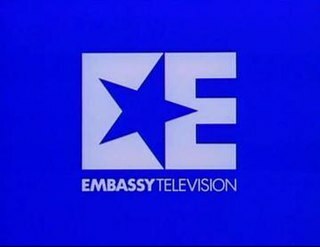 ELP Communications was an American television production company that originally began in 1974. It's currently an in-name-only unit of Sony Pictures Television. Metro-Goldwyn-Mayer Home Entertainment LLC is the home video arm of the American media company Metro-Goldwyn-Mayer. The Sony Pictures Entertainment Motion Picture Group is a division of Sony Pictures Entertainment to manage its motion picture operations. It was launched in 1998 by integrating businesses of Columbia Pictures Industries, Inc. and TriStar Pictures, Inc.
Universal Pictures Home Entertainment is the home video distribution division of American film studio Universal Pictures, owned by the Universal Filmed Entertainment Group division of NBCUniversal, which is owned by Comcast. Sony Corp. of America v. Universal City Studios, Inc., 464 U.S. 417 (1984), also known as the “Betamax case”, is a decision by the Supreme Court of the United States which ruled that the making of individual copies of complete television shows for purposes of time shifting does not constitute copyright infringement, but is fair use. The Court also ruled that the manufacturers of home video recording devices, such as Betamax or other VCRs, cannot be liable for infringement. The case was a boon to the home video market, as it created a legal safe haven for the technology. A videocassette recorder, VCR, or video recorder is an electromechanical device that records analog audio and analog video from broadcast television or other source on a removable, magnetic tape videocassette, and can play back the recording. Use of a VCR to record a television program to play back at a more convenient time is commonly referred to as timeshifting. VCRs can also play back prerecorded tapes. In the 1980s and 1990s, prerecorded videotapes were widely available for purchase and rental, and blank tapes were sold to make recordings. The Warner Archive Collection is a manufactured-on-demand (MOD) DVD series started by Warner Home Video on March 23, 2009, with the intention of putting previously unreleased catalog films on DVD for the first time. In November 2012, Warner announced that the Archive collection would begin releasing some titles on Blu-ray, with all discs being pressed, unlike the DVD series. ↑ Harwood, Jim (October 3, 1979). "Betamax(?) Court Victory". Daily Variety . p. 1. ↑ "Shenandoah". LaserDisc Database. 15 January 1979. Archived from the original on c. 1979. Retrieved 22 August 2018. ↑ "Abbott and Costello Meet Frankenstein". Amazon. 29 January 1979. Archived from the original on c. 1979. Retrieved 19 August 2018. ↑ "Jaws 2". Amazon. 12 February 1979. Archived from the original on c. 1979. Retrieved 19 August 2018. ↑ "American Graffiti". Amazon. 16 April 1979. Archived from the original on c. 1979. Retrieved 19 August 2018.